ON THE GO OC - Things to do with your family. 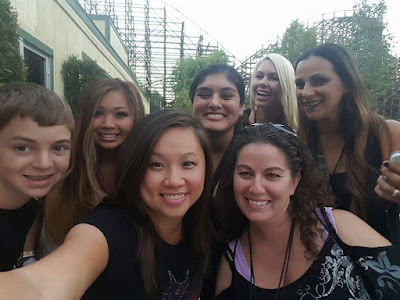 : Knott's Scary Farm Must Do's and a Don't! Knott's Scary Farm Must Do's and a Don't! 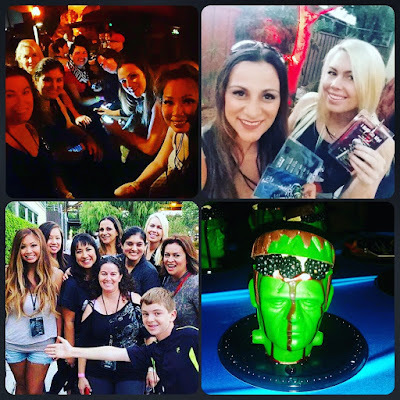 I was scared and beyond privileged to attend the media night of Knott's Scary Farm. 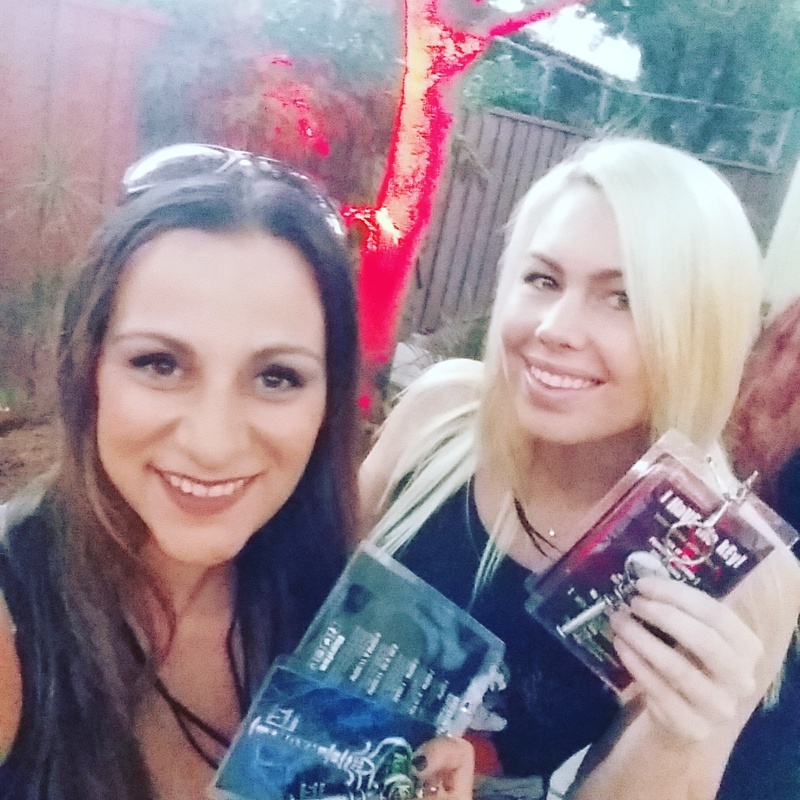 Media Passes and Skeleton Key Ready - I almost turned back... almost! It's been a few years with the kids and lack of sitters to attend but this year I was determined to go and face some old fears that stay with, no matter how old one gets. Not only did I get to attend, I was able to scream my head off with some amazing ladies while eating some amazing food and really just reliving my youth in a way that was Halloween perfect. Amazing Eats, sweets and treats - thank you Knott's! 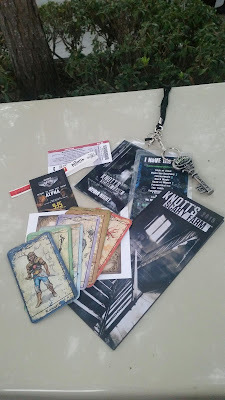 Thank You Knott's Scary Farm, you by far had me feeling nostalgic and left me craving more! I have to share some of my favs and do not miss scares..
Knotts scary farm must do's! * Special Ops. Line up early to shoot and get your kill shots in. * Tooth fairy...ok, seriously had me cringing and I still feel my mouth salivating in pain when there is nothing wrong lol. * Graves slinger, an oldie but a goodie is still one of my top notch scare mazes of all time. * Ghost town. Enough said. Walk through and just pass the fog, If you dare to. Or in my case run, run fast. * Trick or treat was amazing. The green witch is and always will be the star of all the mazes. She's frightful and horrible and oh so ever tempting. Do it. Sweet as a gingerbread house, you just have to go in and trick or treat. * Boysenberry laté, yes a laté. It's only sold at Knott's and is uhhmazing! * Calico mine that us one of my all time favorite rides has darkened to welcome the ghosts of a father daughter mining duo that creeps the caves. These two are a fright and the live monsters and ghosts inside kept me on the edge of my mine car seat! A few of the Haunts at Scary Farm just leave you cringing! * Selfie with a Haunt. Why not and of course you should! I suggest a clown, but cause my sister in law is terrified I went a little more tame since she may read this. 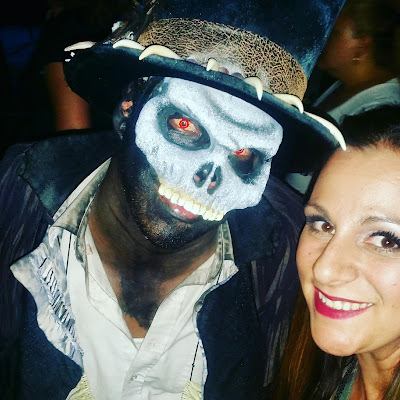 Monster Haunt Selfie - Must Do! * Brave to be first in a maze. This was a first in many, many years for me. I wasn't thrilled about it but I did want to periscope so I did brave being first in line and into skeleton key rooms. I am glad I did and wish I could go back for more first in lines! * Go early for short lines on rides. I noticed we only waited a max of 5 mins for each ride we rode. Most rides looked walk on or short wait. Go early to enjoy some of this fun too. It's also a nice break from screaming your lungs put of fear. 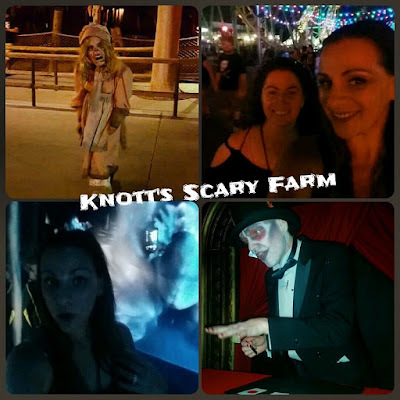 My Don't for Knott's Scary Farm - DON'T miss it! 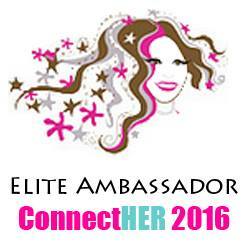 This event was a blast this year! I had so much fun that I would love to go back on a date night but totally had a frightful time with the girls. Win Win! What would I go back to see with more time - Elvira - I love her and another round of the Hanging! I mean that is just tradition to see if you attend. Ready for round two.. I am! I wish! My friend Jen and I - She did a great Job of stand in husband and let me use her as a shield! *All Opinions are my own* thank you Knott's for the amazing night and frights.